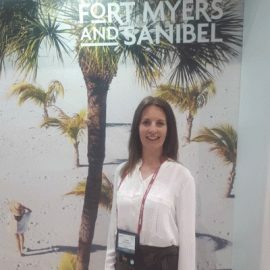 On behalf of our client The Beaches of Fort Myers and Sanibel, Hanna attended the travel industry’s premier international marketplace, IPW in Denver, where more than 6,000 travel representatives, international and US buyers and media from around the world met. 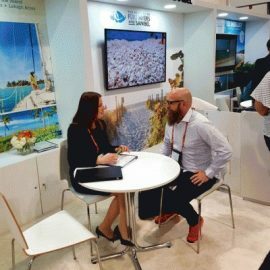 IPW is a great platform for networking and to meet with travel trade representatives from the whole Nordic market at the same time and at the same place. During the 3 days Hanna held pre-scheduled meetings with tour operators and journalists from Scandinavia and Finland. Also, she seized the opportunity to discuss destination updates with our client. Furthermore, the 3 days included great networking, eventful evening activities and high-level entertainment. E.g. The Beaches of Fort Myers and Sanibel hosted a party in collaboration with Visit St. Petersburg Clearwater at the amazing venue Bigsy’s Folly. Many agents and media representatives followed the invitation and the party continued until midnight. 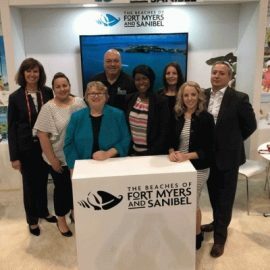 Read about when Hanna was on tour promoting The Beaches of Fort Myers and Sanibel here.